RSX is one of the RSI/Momentum family based indicators that is suitable for adapting. 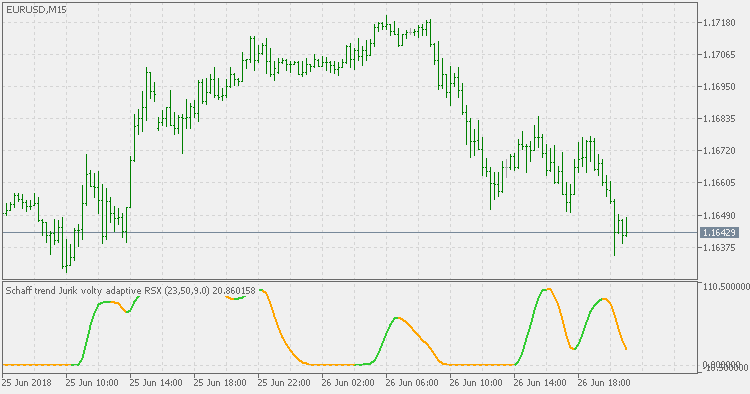 This indicator is a Schaff Trend Cycle that is using Jurik Volty Adaptive RSX for calculation. Default adapting period is kept rather long simply to make the effects of the adapting more noticeable.